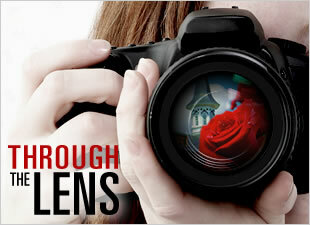 Andrea Caudill, a longtime fan of Wise Dan, is the editor of the American Quarter Horse Association’s Q-Racing Journal. Caudill combined her Thoroughbred and Quarter Horse interests into one article called Bluegrass Cowboy: A Thoroughbred trainer with a cowboy heart. 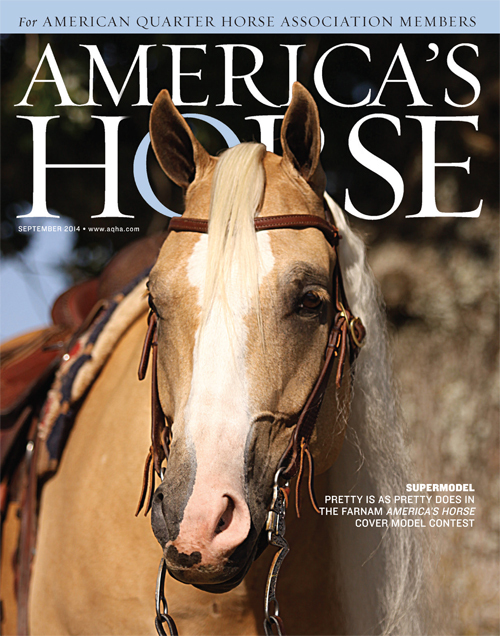 The feature appears in the September issue of America’s Horse. Charlie LoPresti’s Quarter Horses work as lead ponies on the farm and at the racetrack while LoPresti and his wife Amy train Thoroughbreds. One of his Quarter Horses, Pocos Tari Hancock, is a son of Tari Hancock King, who on his bottom pedigree line traces back to Secretariat. 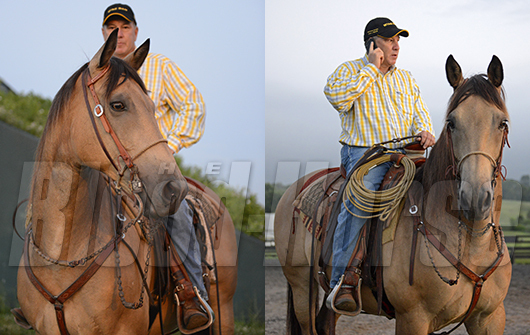 A homebred buckskin gelding, Pacos Tari King is known as “Donnie” on the farm and at the track. 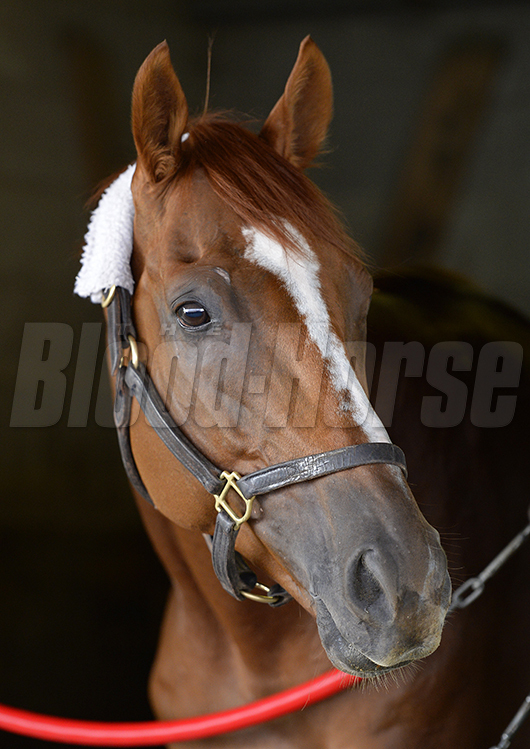 Donnie shared top billing with Wise Dan one July morning at Keeneland in Lexington, Ky when I had the opportunity to photograph the pair. 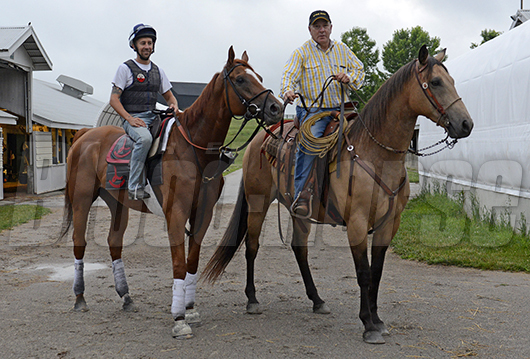 Charlie LoPresti on Donnie with Horse of the Year Wise Dan and Damien Rock, at the barn. Donnie posing by the track while Wise Dan gallops. 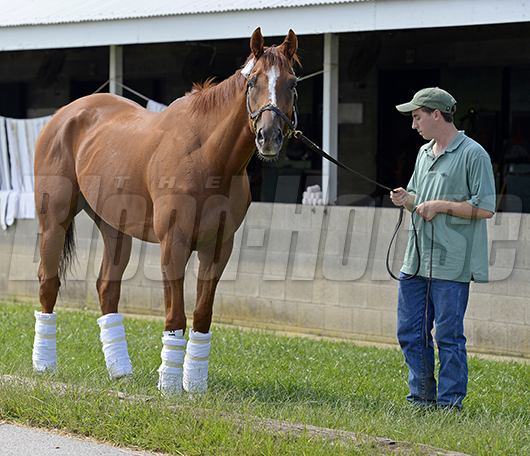 Wise Dan with Reeve McGaughey outside his Keeneland barn one September afternoon.